We’d love your help. 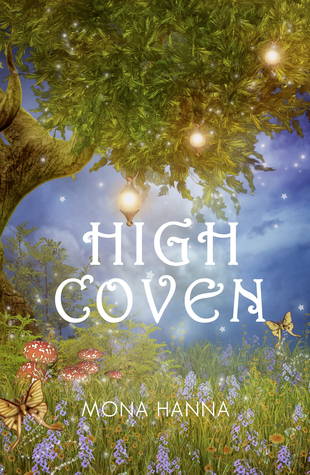 Let us know what’s wrong with this preview of High Coven by Mona Hanna. Ariel is getting used to being a new mother, and excited to see her best friends Hallie and Sean again. She just wants to spend time with them and relax, and hear about their wedding. Unfortunately, relaxing is the last thing any of them can do on this visit. Thrust into a new place, the High Witches are delighted to find the fourth—but the circumstances couldn’t be worse. Ariel is getting used to being a new mother, and excited to see her best friends Hallie and Sean again. She just wants to spend time with them and relax, and hear about their wedding. Unfortunately, relaxing is the last thing any of them can do on this visit. Thrust into a new place, the High Witches are delighted to find the fourth—but the circumstances couldn’t be worse. A group of men are determined to stop them from casting a spell that could change the world, bringing immense joy but also great disaster. The risks of the spell might be beyond their ability to handle. A great darkness is coming. It will take more than two High Witches to stop it: it will take a coven. To ask other readers questions about High Coven, please sign up. Mona Hanna The ebook of High Coven is available at Amazon, iTunes, Kobo, Barnes & Noble, and Google Play. Hi Mona, I am new to you and am looking forward to reading your first book in this series. Is there anything that I should know before reading this series? 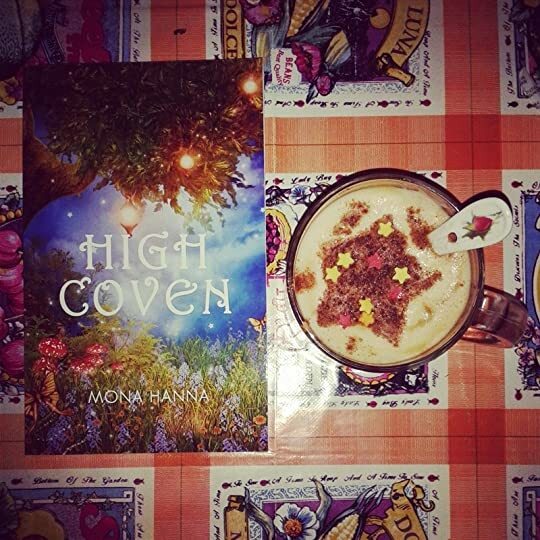 After reading High Witch and Witch Emerging, the first two volumes of the High Witch series, I have finally got to enjoy High Coven, the last book that Mona Hanna prepared for her High Witch fans. I can say that it was as usual an enjoyable read and I was really happy to connect again with the old characters that I've missed since the last book. Ariel, Brayden, Sean and Hallie are back but their reunion is disturbed by something that could affect the whole world. New characters appear and the peaceful atmosphere of the book takes another turn. As a whole, I think that the book was lovely (since I am already familiar with the author's style) and it was nice to read an epilogue in which we find out what happens with the characters. This last book of the series was a pleasant read. I liked the fact that although the tension makes its appearance as the action evolves, there is some sort of calm and comfort which comes from the bonds that the characters have developed. 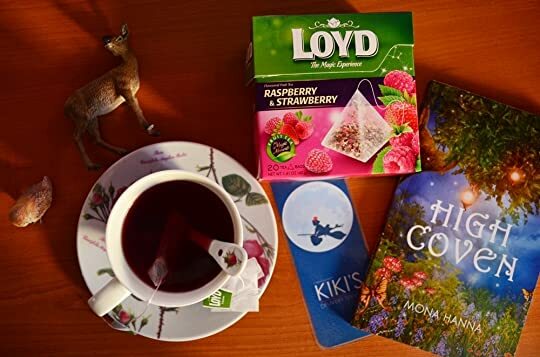 If you have not read this series yet I really hope that you can do it soon since it is a relaxing fantasy read, a nice combination between romance and magic. "But there was no inn. When I read Hanna’s writing I inevitably picture a world painted in pastels. Her low key tone combined with the storybook quality of the plot just seems to invoke that in me. Combine this with the well written quality of the novel and the magical aura that surrounds it and you have a definite feel good fantasy tale for those of any age. The characters were quite well developed. Hanna does rely somewhat on what we’ve come to know in previous instalments of the series but her characters continue to When I read Hanna’s writing I inevitably picture a world painted in pastels. Her low key tone combined with the storybook quality of the plot just seems to invoke that in me. Combine this with the well written quality of the novel and the magical aura that surrounds it and you have a definite feel good fantasy tale for those of any age. The characters were quite well developed. Hanna does rely somewhat on what we’ve come to know in previous instalments of the series but her characters continue to grow to the point that you could read this novella on its own. As a whole, this was a quick, light fantasy read. It was enjoyable, yet missing a little of the spark we’ve seen in previous novels from this series. 2.5 stars. Too much "I love you so much, blah blah" for me. It became overbearing in my opinion. Without the constant "mushiness" I would of given this book 4 stars. This final book of the trilogy brings good vs evil to its inevitable confrontation. Both sides believe they are working for the better cause. The prophesy carriers want to prevent the High Witches from casting the ultimate spell. The witches are expected to decide without adequate information and no time. Two of the four are just babies. Never threaten a new mother, especially a sleep deprived mother. They felt pushed to act. Overall, the idea of creating covens and teaching witches how to use the This final book of the trilogy brings good vs evil to its inevitable confrontation. Overall, the idea of creating covens and teaching witches how to use their magic responsibly is valuable. Helping them feel accepted and supported is a worthy cause. The need to cause mass destruction with the great darkness before education and light can begin was disconcerting. I understood Raven's dilemma, regardless of which side he took. This series must be read in order. At times it was a struggle to define its genre. now i am hooked. This was such a great, easy and creative book. i was hooked after the first page. The characters were easy to fall in love with and follow, along with the story. the author made the mental visions so easy and vivid of the surroundings and the characters actions felt so real. i would highly recommend this author and this book. I think I liked this one the best of all three. I hated to see it end. I became very interested in their lives. i think this book will tell a goo story. so far this book is better than the other books in the series. Mona Hanna is an author of fantasy/romance books and Christian non-fiction. She is the author of the Prentor and High Witch fantasy series. Her fantasy books do not contain Christian themes—she leaves that for the devotional writing. Mona enjoys reading, movies, chocolate, and adores cats. She hopes to release many more books in the years to come. https://www.facebook.com/mo Mona Hanna is an author of fantasy/romance books and Christian non-fiction. She is the author of the Prentor and High Witch fantasy series. Her fantasy books do not contain Christian themes—she leaves that for the devotional writing. Mona enjoys reading, movies, chocolate, and adores cats. She hopes to release many more books in the years to come.